The day continues with a bustling poster session on a wide range of research topics. Students and researchers working in all aspects of nanobiotechnology are invited to participate. 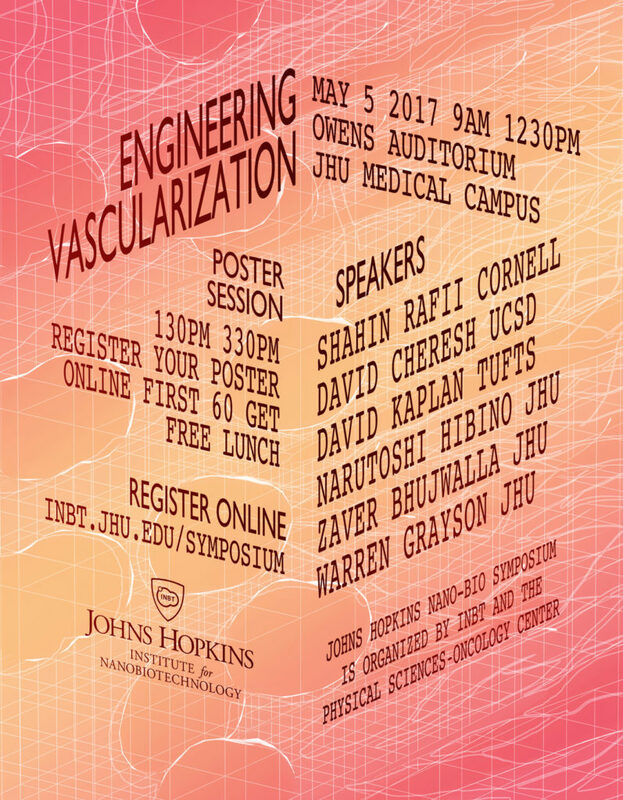 The event, jointly orgazined by INBT and the Physical Sciences-Oncology Center, is free and open to the Johns Hopkins University community and select other academic institutions. A registration fee may apply to other attendees. Visit http://inbt.jhu.edu/symposium to learn more. followed by a poster session from 130PM to 330PM.